This flip flop weather has me chilly & wind burnt, but the weekend forecast says 99% chance of wine! 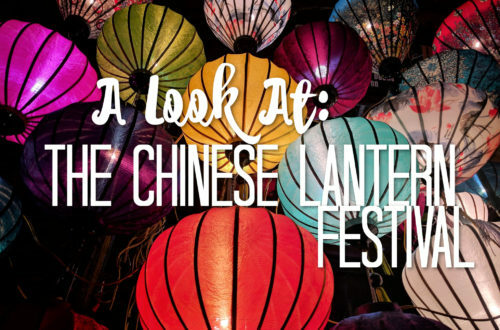 We’ve got some amazing festivities & events to partake in this weekend that help out the communities you all live in. 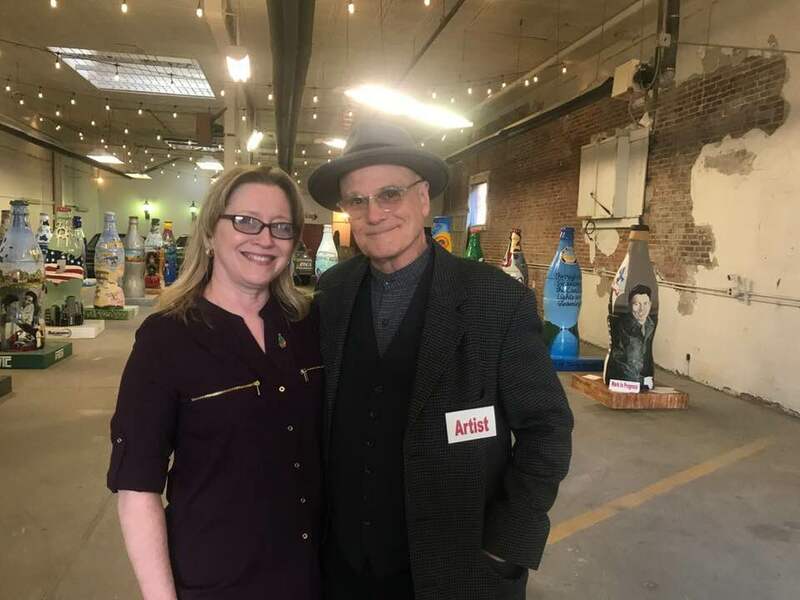 One particular event being “An Evening of Art & Wine“, which I am partial to because I am a part of the organization putting the whole shindig together. So you should come support the children of Vigo County and drink some vino with moi! Check out the rest of our events you shouldn’t miss below. Yep, that hunk of a man is playing at the Egyptian Room in Indianapolis on Friday night! 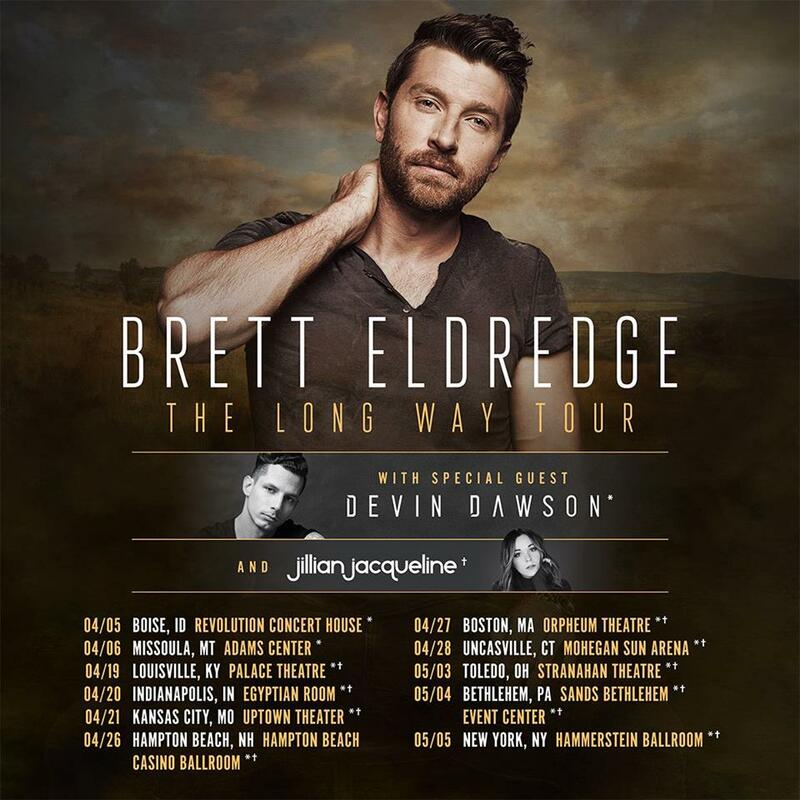 Brett Eldredge (My Future Arm Candy), plays with Devin Dawson & Jillian Jacqueline beginning at 8pm. Tickets range from $73 to $108 a piece, and the show will not disappoint. Say hello to Edgar for me & purchase your tickets HERE for The Long Way Tour. 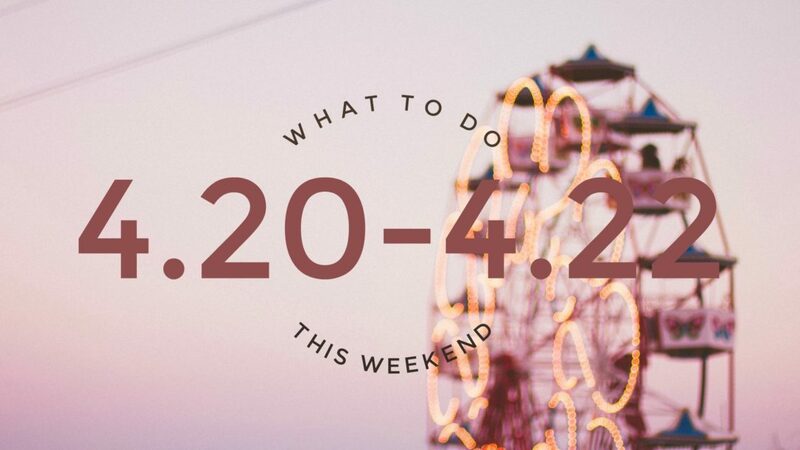 Attention all hippies, It’s 4.20! Like you already didn’t know. 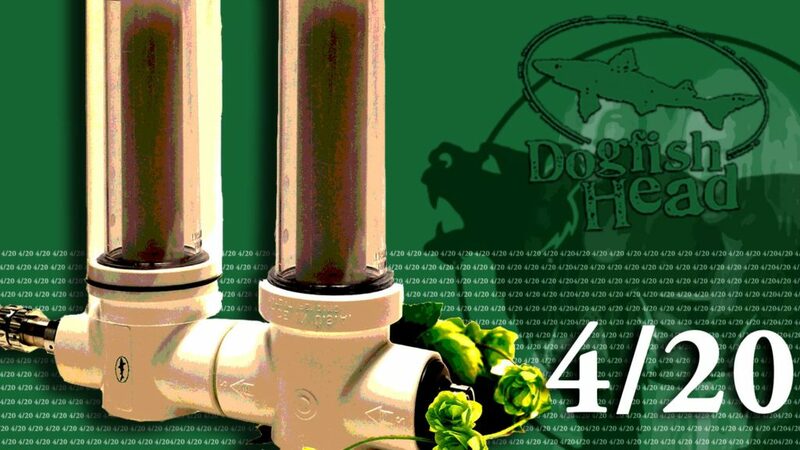 Sonka’s Irish Pub & Cafe will be tapping some special beers to celebrate.New Belgium Brewing – Hemperor , Stone Brewing – Enjoy By 4.20, & Brewdog Brewing – Hazy Jane. Also If beer isn’t your thing they now have Humboldt Hemp infused Vodka. Free Munchies will be served from 5-7pm along with hippie music all day! Simon & Garfunkel: Live in Central Park (Revisted) has been playing to sold-out audiences and rave reviews all over the country and you can now catch a chance to see it at the Indiana Theatre! Featuring award-winning recording artists Johnny Rodgers and Lee Lessack, this show pays tribute to the Simon and Garfunkel Central Park reunion concert that attracted more than half-a-million attendees in 1981. You will hear every song from that concert, including “Bridge Over Troubled Water,” “Sounds of Silence,” “Mrs. Robinson,” Scarborough Fair,” “Still Crazy After All These Years,” “50 Ways to Leave Your Lover,” and “Feelin’ Groovy.” Get your tickets ONLINE & catch the “Feelin’ Groovy” cocktail party at 5:45pm at the Ohio Building. Over the last 20 years, Susan and Michael Tingley have been partners on many levels. As artists, they have shared more than a studio. 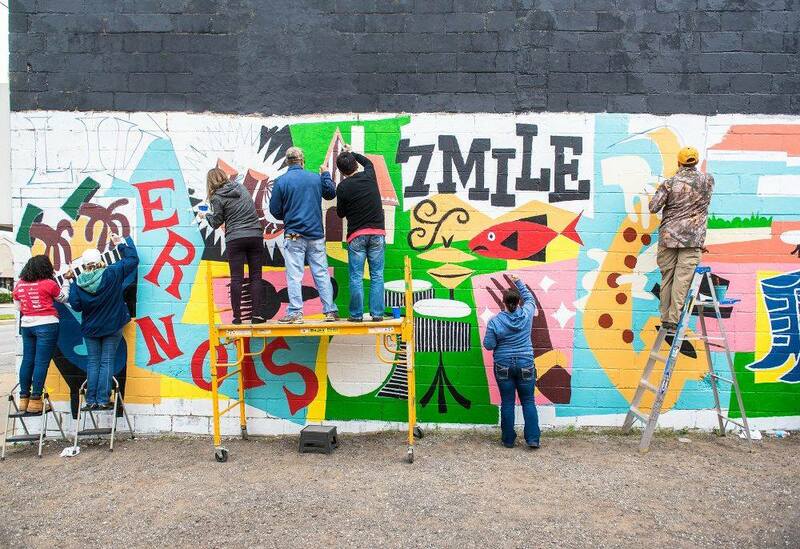 They will discuss how they have taken their joy in creating art to new levels through their collaboration. The talk is free and open to the public. Join them at the Swope Art Museum beginning at 12pm and you are welcome to bring your lunch. Invite your girlfriends, boyfriends, husbands, or wives and join Angela for a Night Out! 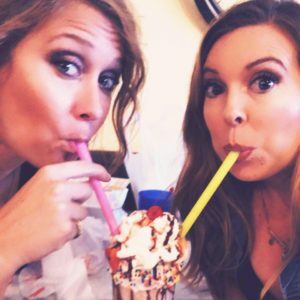 This event makes a great Date Night, or Girls Night Out! 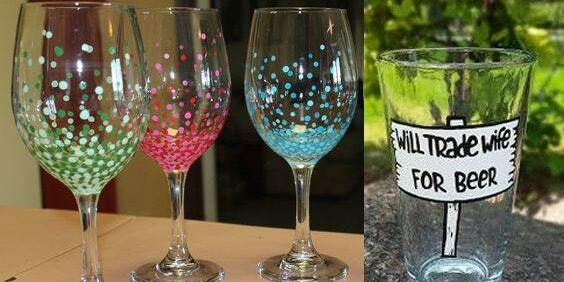 The possibilities are endless when painting wine glasses. Join Angela & your closest friends at Charm School to paint wine glasses or beer mugs. Sign up NOW. 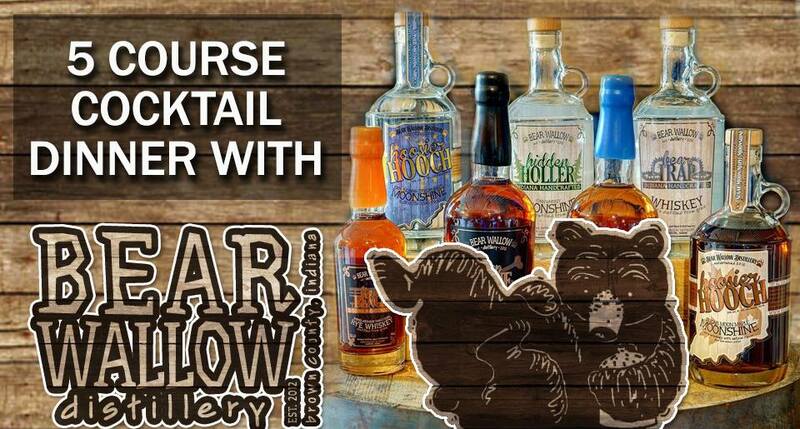 Join the Story Inn Bed & Breakfast and Bear Wallow Distillery for a special cocktail dinner! This dinner will feature 5 skillfully paired courses; each including a Story Inn dish and a Bear Wallow cocktail. Join them before the dinner in the Story Tavern from 6-7pm to meet the distillers! They are also offering anyone who attends this event a 20% DISCOUNT off their overnight stay in one of our rooms! This event has limited seating, you will want to reserve your seat now! The ticket price includes gratuity. 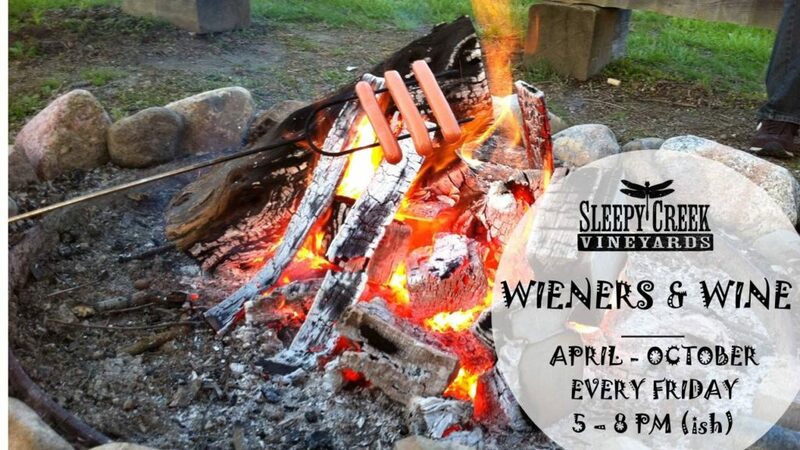 It’s BACK, Wiener’s & Wine at Sleepy Creek Vineyards is set to run this weekend until October. You buy the drinks, they provide the hot dogs, fixings and fire to roast it over. Every Friday, April through October from 5 – 8 PM(ish). If raining, come on out for free chili dogs inside! They’ve added a little twist to some of their Friday’s with FREE Music from 6:30 – 8:30 PM! You are welcome to bring your own lawn chairs and additional food items. Come enjoy your favorite Sleepy Creek wine, beer, non-alcoholic drinks or specialty drinks, cheese, crackers and other snacks! 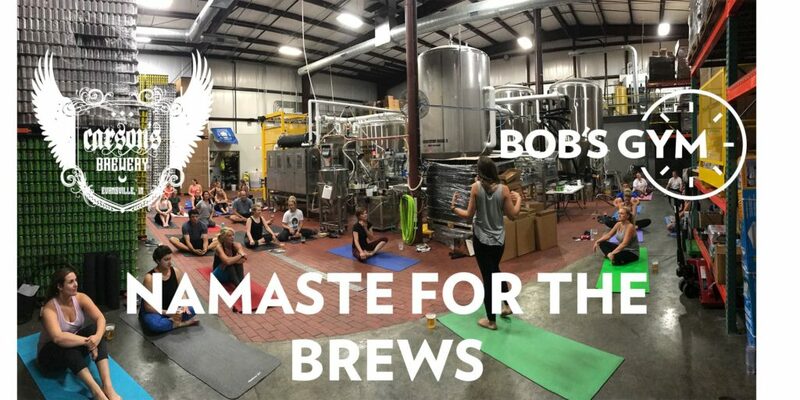 Whether you’re in it for the BREWS or the YOGA, come experience BOTH at NAMASTE FOR THE BREWS APRIL 20th at Carson’s Brewery in Evansville, Indiana. $15 gets you 45 min of yoga, a couple beer samples and 16 oz of Carson’s SPECIAL YOGA BREW (this night only) to help you get your zen on! 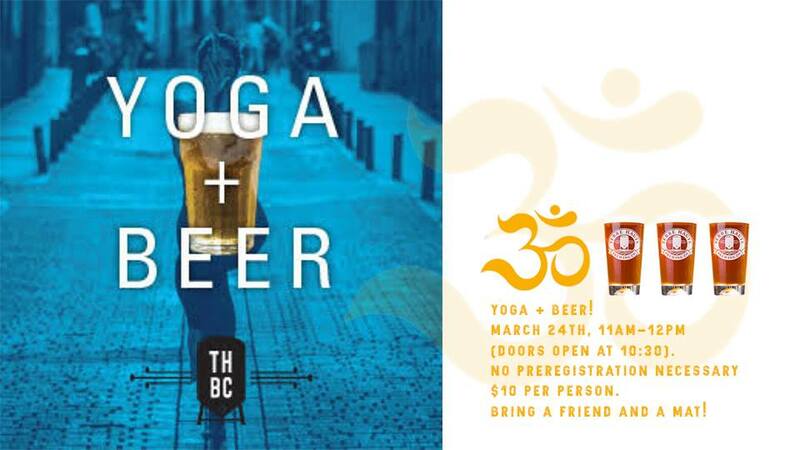 Beer Yoga will be taught by Brooke Armbrüster, who is a 200 HR RYT (Registered Yoga Teacher), in the brewery. Event begins at 6:00 PM – try to arrive early to get your beer and mat in place. 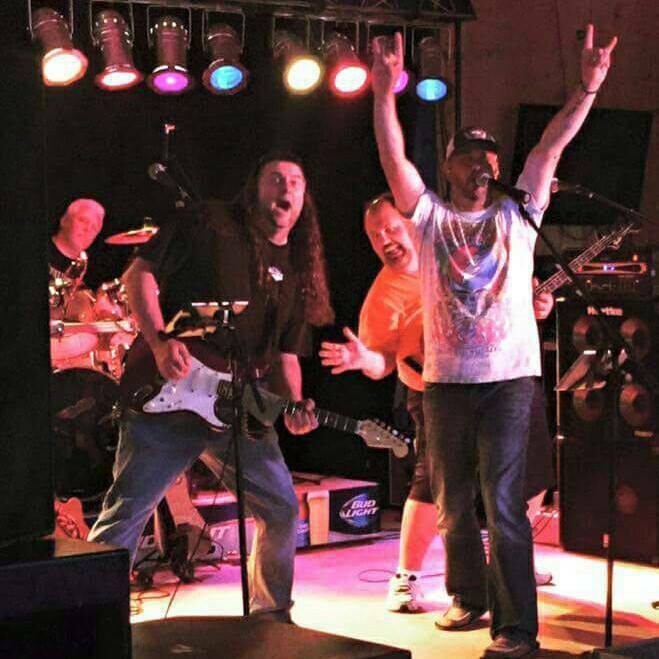 Join The Macdaddy’s this Friday as they perform in Greencastle, Indiana at the Swizzle Stick Bar. They are playing from 8-11pm and will also be celebrating Gail Smith’s birthday! 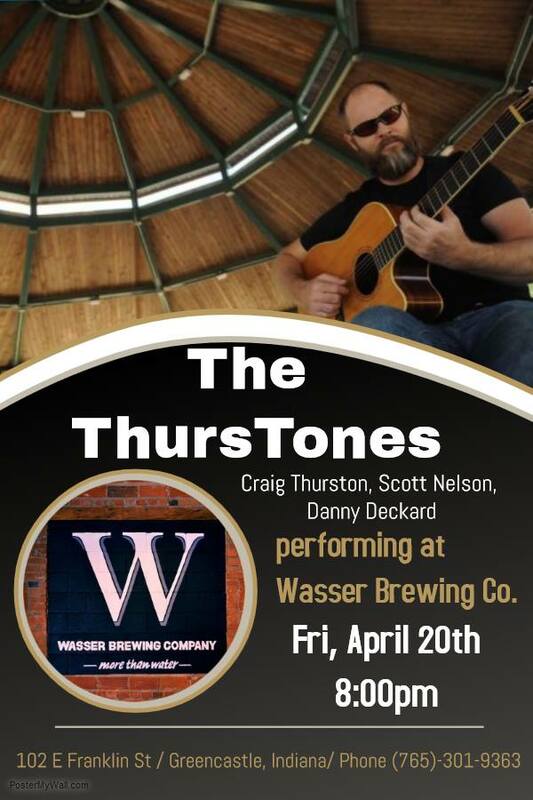 If you are already in Greencastle for The Macdaddy’s stop into Wasser Brewing Co to catch a show by The ThursTones. ThursTones, with Scott Nelson on upright and Dan Deckard on percussion. The band goes on at 8pm and food will be served. A fundraising event for one of the highest quality charities Indianapolis has to offer, Girls Rock! Indianapolis. Kuma’s Corner has teamed up with Dogfish Head and Randall (RANDY) the Enamel Animal (https://www.dogfish.com/shop/barware/randall-30) to bring you some of the headiest beer concoctions they could cultivate. Keep your eyes as open for upcoming opportunities to win some dope raffle prizes that will get you ready for Record Store Day 2018. Randy’s 420 Pour-A-Thon is Friday & Saturday from 2pm-1am. 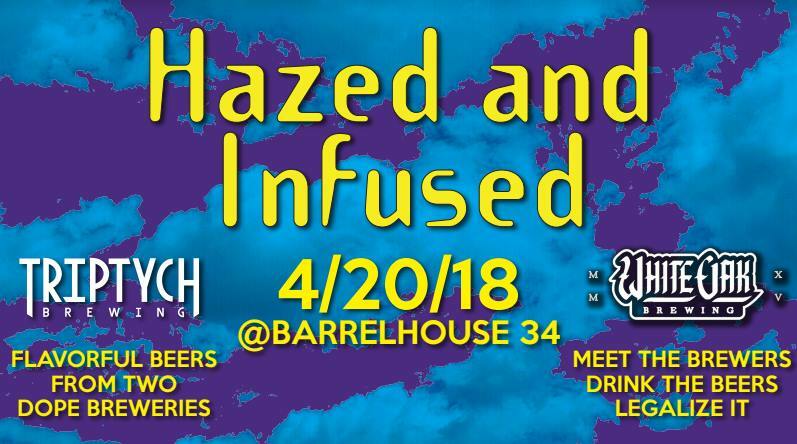 Join Barrelhouse 34 in Champaign, Illinois on Friday, April 20th at 4:20 p.m. to hang out with our friends from Triptych Brewing (Savoy, IL) and White Oak Brewing (Bloomington-NORMAL, IL). The brewers will be on hand to talk about their favorite hazy beers and other flavorful treats. Don’t forget to ask the guys for some schwag! Come out and spend time with friends at Quibble Hill Winery in Depauw, Indiana from 7-8:30pm. Enjoy wine and create a spa set for yourself! 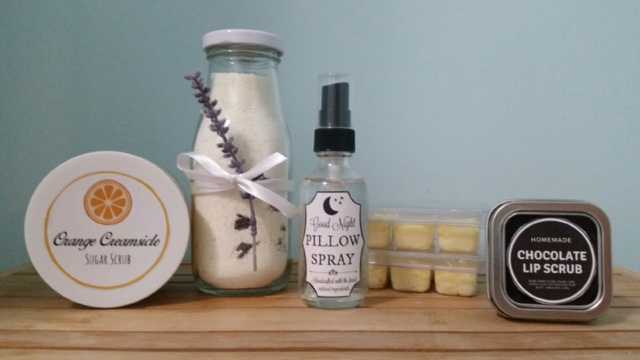 The spa set will include a lavender and cedar-wood pillow mist, orange creamsicle sugar scrub, lavender and rose milk bath, chocolate lip scrub, and wake up shower melts. It is $35 to attend the class and seating is limited to 20 people so call now to book a seat for this fun-filled night! 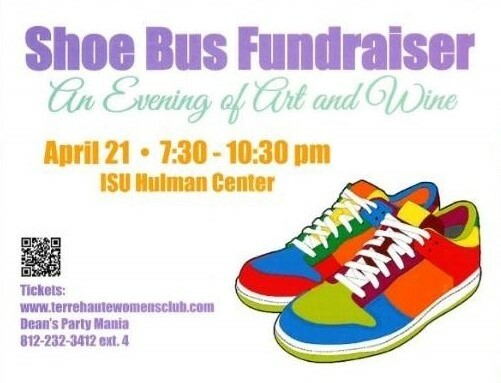 Come out and support the Terre Haute Women’s Club Annual Shoe Bus Fundraiser “An Evening of Art and Wine“. This is our one and only fundraiser we hold to raise money to purchase shoes for children in need in Vigo County. The event takes place at ISU Hulman Center this Saturday from 7:30-10:30pm. This year we will again be displaying several local high school artists along with 10 artists from around the United States who will have their art displayed and for sale. We also will have champagne, raffle & silent auction items, all you can drink wine, and fabulous food. This is an event you do not want to miss and each ticket pays for a pair of shoes, so do your part and purchase your ticket NOW! Wine is waiting for you this spring. Enjoy an intimate setting with various wine reps showcasing a few of their top brands. From 4-6pm enjoy an afternoon of connecting with friends, family, and wine enthusiasts. 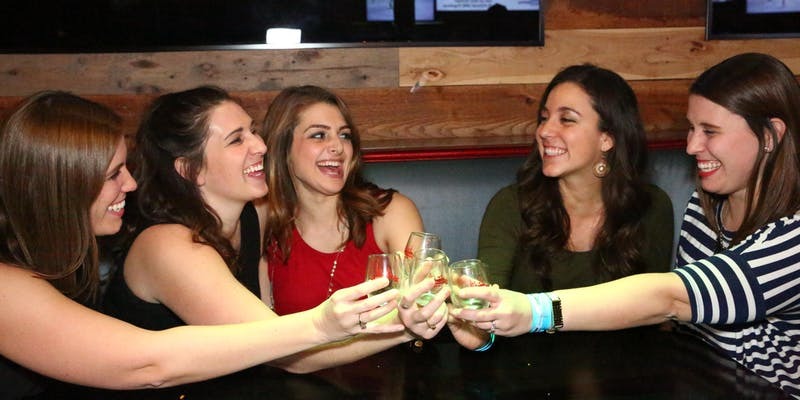 The 2018 Indianapolis Spring Wine Tasting Festival begins at The Brick House Dueling Piano Bar HERE and includes 2 hours of wine tasting, 15 tasting tickets, & a portion of the proceeds benefit a local charity. To check out what wine brands will be featured and to purchase your ticket to the event, click . 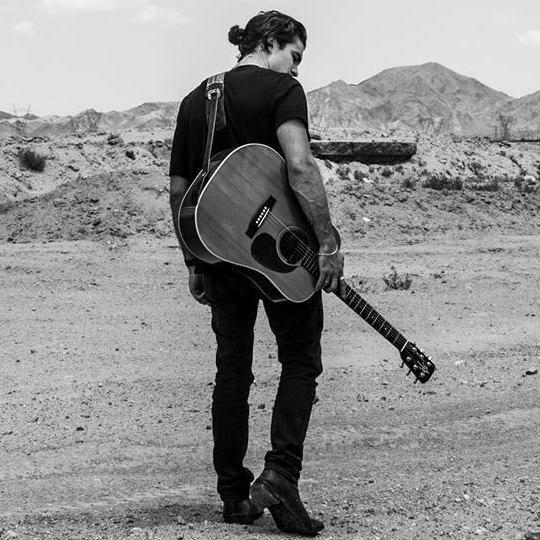 Singer songwriter, Ross David, will be performing at WaterTower Estates this Saturday from 6-8pm!! Ross may have grown up here in Terre Haute but he has been traveling and performing all over the United States and all the way to Spain! Ross’ music has hundreds of thousands of views on Youtube as well as over 5 million Spotify plays!! You will not want to miss this performance! 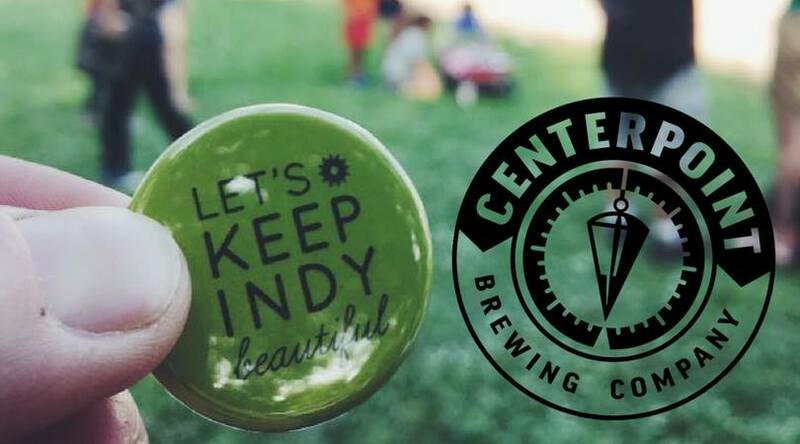 Yoga + Beer is back at the Terre Haute Brewing Company Saturday morning at 11am. All proceeds go to a local charity, so it’s hard to miss! Doors open at 10:30, bring a mat and $10. Stay after for a free beer! 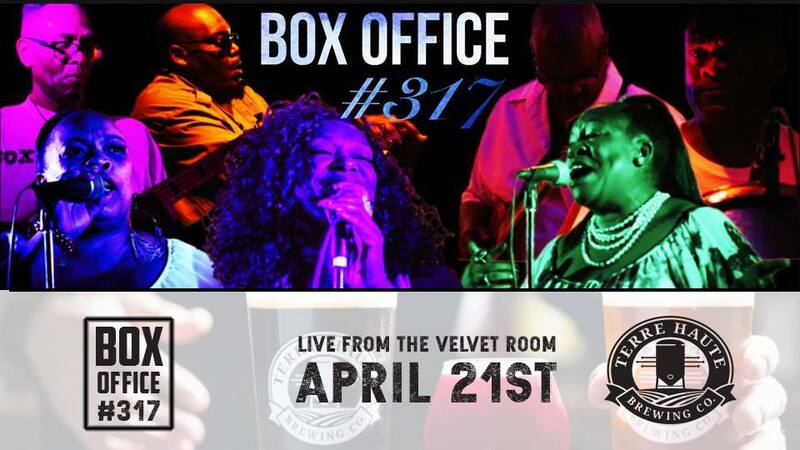 Join Box Office #317 at 9pm at the Terre Haute Brewing Company. With members hailing out of Indianapolis Indiana. The band has a diverse sound ranging from classic to new R & B, Rock, Country, Pop and Motown. Box office is a SHOW BAND whose ladies hit the stage with high energy, vocal dynamics and choreography that always leaves the audience wanting more. The band has graced the stage with artist such as : Midnight star, Lakeside, Kelly Price, Silk and David Hollister to name a few. offering a fresh innovative sound box office will fit the bill of any venue: Festivals, weddings, corporate events, private parties, cruise ships and casinos. They are reliable, prompt, professional and easy to work with. Party goers will have an experience they will remember for years to come. While fun is our desired results, Box office is committed to the proper planning and execution of every event. For an awesome experience and an unforgettable night, Box office is where you should start every time. Couldn’t catch The Macdaddy’s on Friday?! They will be in Terre Haute at Showme’s Saturday beginning at 9pm. 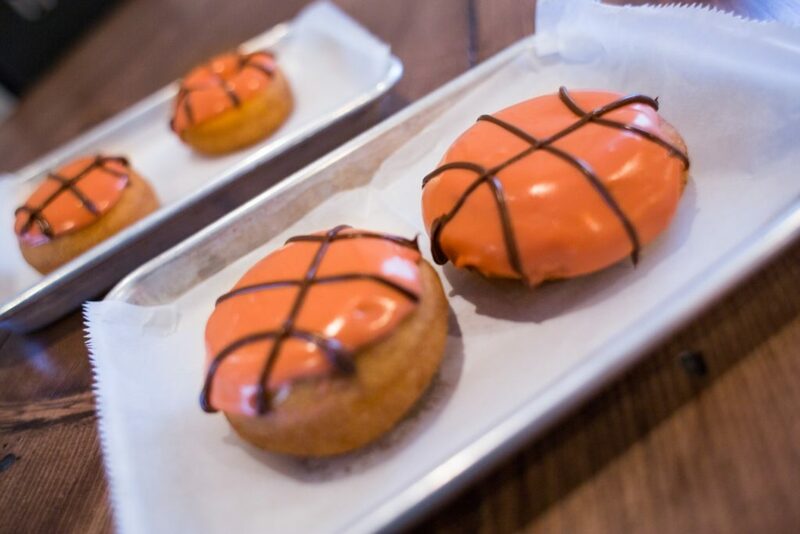 Arrive early to snag a table! It’s a Vino & Vibes FREE music performance with The Chickadee Sermon. 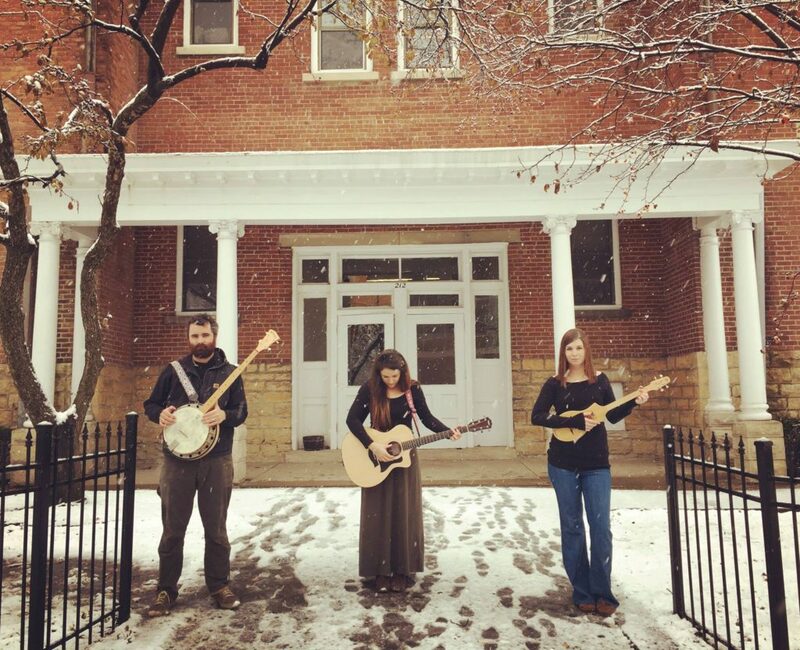 Join Sleepy Creek Vineyards in Fairmount, Illinois for an afternoon of folk and bluegrass music with the Chickadees. Their sound emphasizes vocal harmony and delicate instrumentation. They play original songs about their small town, country upbringings and original renditions of bluegrass/folk standards. 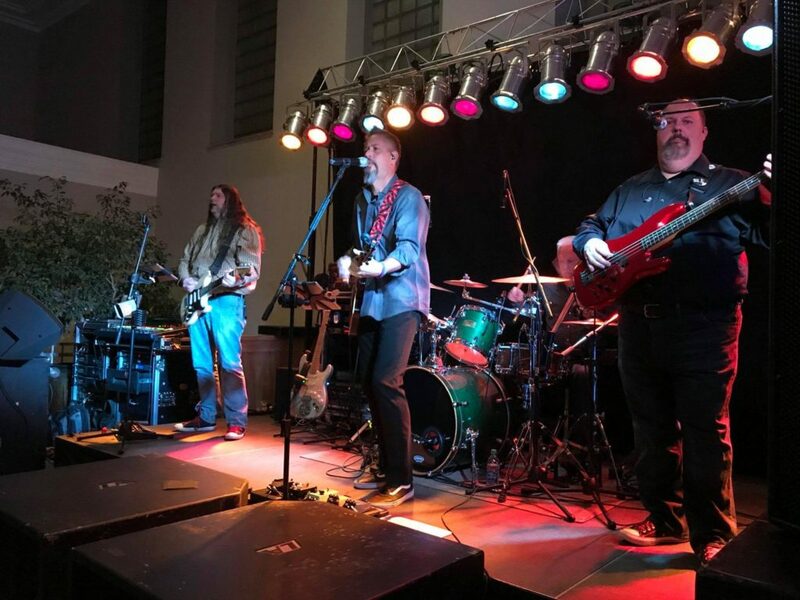 The Chickadee Sermon has been a full band for about a year but each member has been performing in the Central Illinois area in various acts for some time. Each member has a distinct and special love for bluegrass/folk music that shines through when they perform. Music begins at 4pm. 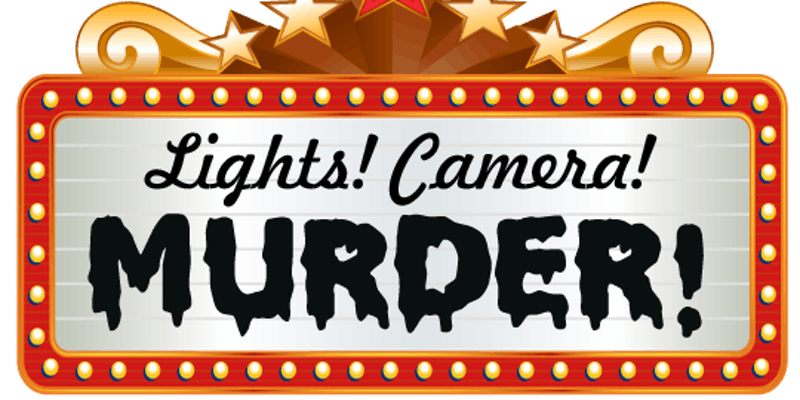 Join Blackhawk Winery & Vineyard in Sheridan, IN at 6:30pm for a Murder Mystery Dinner. will be revealed, scandals will be broken and a homicide will happen. called upon to find the criminal by cracking this red carpet caper. Will it be an aspiring actress, tired of living in the shadows? the teen starlet trying to attract a more mature audience? the clues or the culprit will remain concealed. Come walk the blood red carpet for a night of secrets, celebrities & scandal. Click on Tickets to choose your character. We’ll email you more info about your character about a week before the event. Dressing up is encouraged, with prizes for solving the mystery, best costume, and most engaging performance! 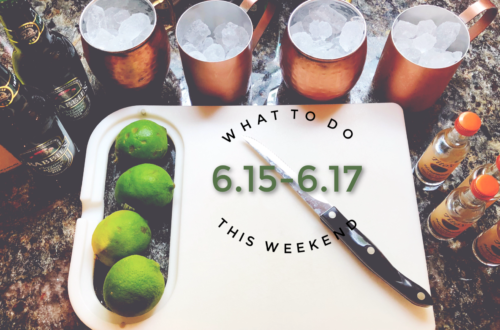 Ticket includes entertainment, food and non-alcoholic beverages. Wine may be purchased at additional cost. 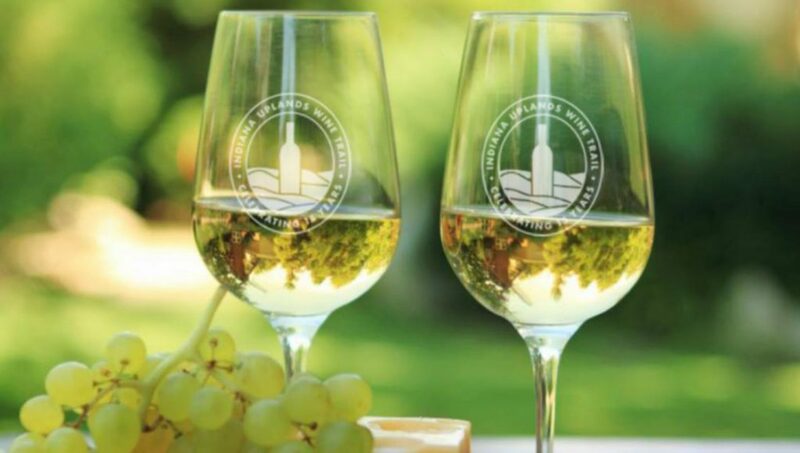 The Indiana Uplands Wine Trail is celebrating 15 years as Indiana’s first wine trail and Grape Grower’s Cooperative! They invite you to commemorate this milestone with them during their weekend-long anniversary celebration. 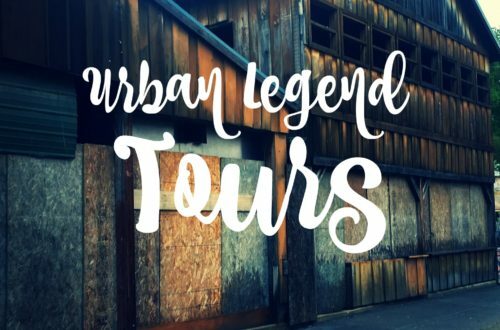 Travel the trail April 21 & 22 and enjoy a special food pairing at each of the nine wineries along with your wine tasting! Each winery will have something unique for you to enjoy as part of this celebration: cupcakes, cookies, chocolates, and more! Visit all nine this year and receive a signature stainless steel logo tumbler, compliments of the Indiana Uplands Wine Trail. 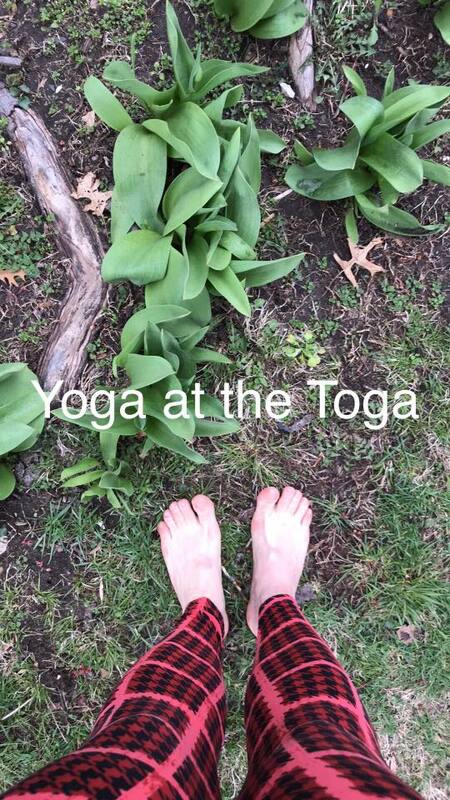 Celebrate Earth Day with Yoga At the Toga!! This ALL levels yoga practice will leave you feeling more grounded and rooted in the present, using asanas, breath and essential oils. The practice will be followed by a earth abundant plant based luncheon. Wear comfortable clothes and bring your mat. This event takes place at Saratoga Restaurant in Terre Haute at 11:30am. Give your family a gift of personal design. 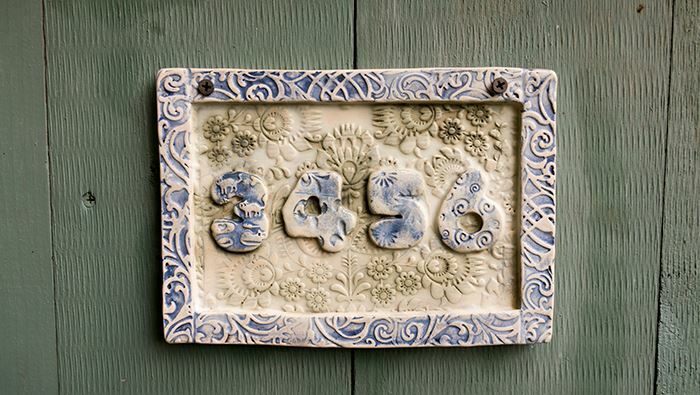 Create a welcome or house number plaque using clay, glaze and glass. All in one session. No experience needed. Have it fired and mailed to your home or picked up at the brewery! Food and drinks are not provided but feel free to eat and drink during this workshop.